The people who came to pay their last respects to former Chief of Staff Amnon Lipkin-Shahak agreed on one thing: He was one of a kind. 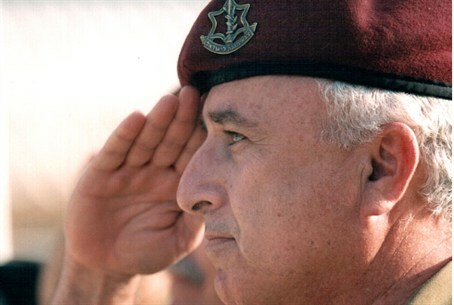 The hundreds of people who came on Thursday to pay their last respects to Amnon Lipkin-Shahak, who was the 15th Chief of Staff of the IDF and was laid to rest at the military cemetery in Kiryat Shaul, all agreed on one thing: He was one of a kind. Shuli Muallem lost her son in the 1997 Israeli helicopter disaster, when 73 soldiers were killed as two helicopters collided in northern Israel while awaiting orders to enter Lebanon. The disaster occurred during Lipkin-Shahak's term as Chief of Staff and he made sure to keep in touch with the victims' family years after the tragedy. "It was his inner beauty [that made him special]", she said. "He was a pure person. He was a person that did everything calmly." Former IDF Spokesperson Avi Benayahu described Lipkin-Shahak as "a person of truth. He guarded his truth, he didn't hesitate to confront a Chief of Staff when it was needed and not a Prime Minister or a Defense Minister." "I remember that day when he called me and told me about his illness, after he found out that one of the newspapers was going to publish it as a scoop," recalled Benayahu. "I think he beat the illness and not the other way around. It played hide and seek with him and he was able to avoid it for more than 20 years. And I think he left a great legacy behind." Benayahu added, "When one says he was the salt of the earth and a hero of Israel and one of our finest sons, usually it's cliches. This time the words are dwarfed by his character. He will be greatly missed."